« KGSR’s Blues on the Green Tonight! In honor of Father’s Day the Austin Symphonic Band will be giving a free concert in Zilker Park tonight at 7:30pm. 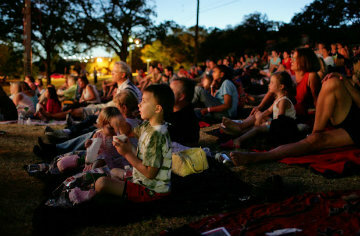 Bring a picnic basket and spread out a blanket under the Pecan trees at the Hillside Theatre and enjoy this unique event with your dad!